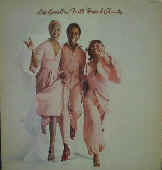 This Tampa trio featuring Brenda Hillard, Albert Bailey, and Zulema Cusseaux(ex-Lovells from the 60's) began recording for Maxwell in 1970, produced by Van McCoy. 'So Much Love' reached 14 on the R&B charts for Maxwell. 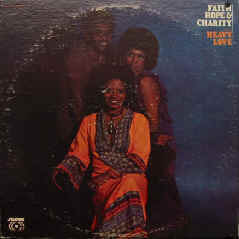 Zulema left the group after the "Heavy Love" album, some sources say 1971 but it may have been in '72. Her first solo album was issued on Sussex while the label was still issuing FHC singles which had been recorded before she left. Brenda Hilliard and Albert Bailey continued as a duo, Brenda and Albert, with one release on a short-lived Sussex subsidiary label Clarama 1200 (1974) 'Talking About Loving You / This Has Happened Before'. The group then reformed with Diane Destry in place of Zulema and signed to RCA as part of a production deal that Van McCoy had with the label. 'To Each His Own' hit the charts in 1975. 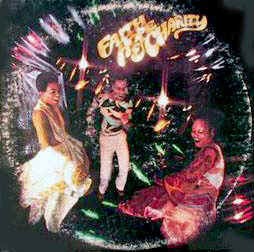 The group had one last hit, "Don't Pity Me" in 1978, which was an R&B Top 20 release. 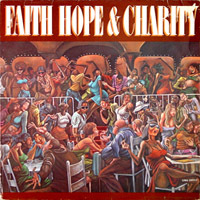 Zulema occasionally helped out on background vocals with the reformed group but only in the studio - she was not a member. In 1972, with the Sussex label and using only her unique first name, she cut the LP Zulema in 1972, followed in 1973 by a second album, Mrs. Z. She also had a # 91 R&B single for Sussex that year with Telling The World Good-Bye (Try To Find Yourself) b/w Tree. However, her albums at RCA were well received, beginning with the 1975 soundtrack LP Honey Baby, Honey Baby in conjunction with The Friends Of Distinction and jazz pianist Weldon Irvine. That was followed that year by R S V P, and in 1976 with the LP Suddenly There Was You. By 1978 she had moved over to the small LeJoint label where she cut the album Z-Licious and the hit single Change [# 46 R&B], followed in 1979 by I'm Not Dreaming, billed to Zulema and Friend - the friend being the song's writer and producer Van McCoy. It went to #76 R&B and was her final charter, meaning that, except for her brief stint in 1970 with Faith, Hope & Charity, she never did grace the pop charts.